Recently, the company Xiaomi has released a new product within the framework of Youpin crowdfunding platform. The new product belongs to the line of gadgets Yeelight, and as many probably realized, this is a gadget related to lighting. The price of the new product is pretty decent – 599 yuan (about $88), and the start of sales is scheduled for March 10. Today, we will do a review about this product, so let get started. Many southern partners don’t know what Yuba is. The simple explanation of Yuba is a bathing small household appliance with a certain waterproof function that combines various functions such as heating, ventilation, and lighting in the bathroom. Most of the home is equipped with a ventilation fan, but for the northern users, winter needs a device that can heat the bathroom. Back to the review experience, Yeelight Smart Bath Heater consists of several parts, namely the main part, the cover lighting part, the remote control, and the basic accessories. 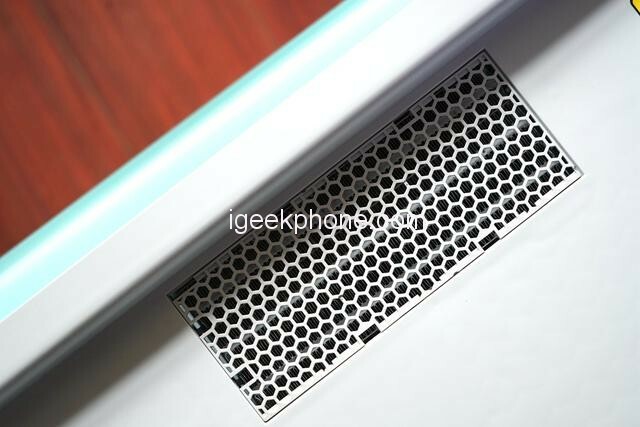 The picture above shows the main part of the Yeelight intelligent Bath Heater. Its standard size is 300x600mm, plus the cover. The thickness behind the board is 173.5mm. If you want to install this bath, you need to reserve a certain space in the bathing shed. The most suitable ceiling is the more common integrated ceiling. The advantage is that the installation is beautiful. This Yeelight intelligent bath is based on Japan Nidec high-end DC motor. The working life of the motor is 15000 hours. It has a large torque of 147mN·m, supports 24V low voltage control, 1500 rpm, and uses curved blades inside. The front disc plus rear curved design provides a more sturdy air volume. Yeelight Smart Bath Heater uses a high-quality ceramic heating sheet. When the equipment is turned on, the 5 square meter bathroom probably It takes only 3 minutes to raise the indoor temperature by about 15 °C. This efficiency is still quite high. Yeelight Smart Bath Heater also comes with duct adapters, ventilation pipes, hoops and expansion screws, etc, it doesn’t have any filter protection, which means there may be some bugs that crawl through the flue. 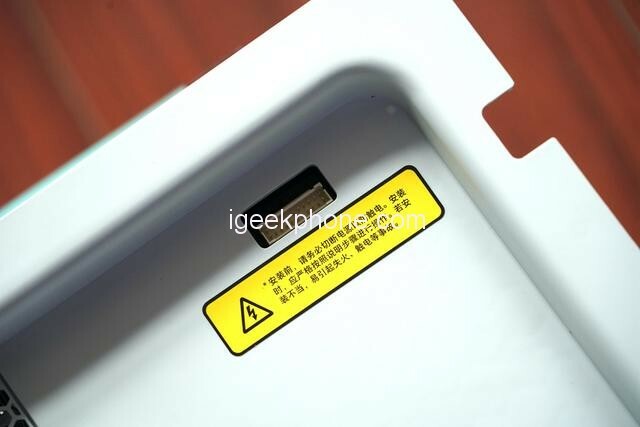 But in fact it also has a plastic cover, the cover can be adjusted. 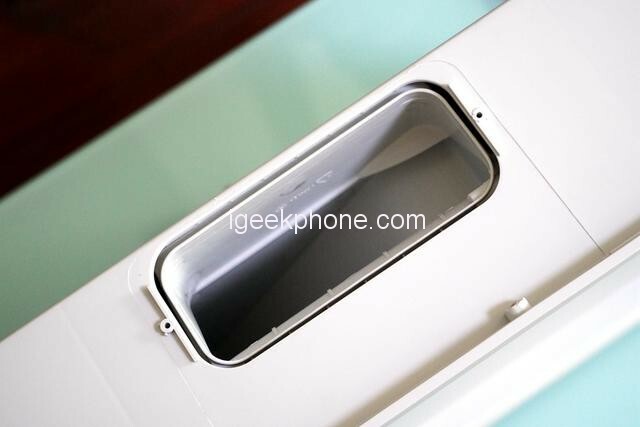 On the corner of the Yeelight Smart Bath Heater heater main unit, there is also a cable socket for connection control. 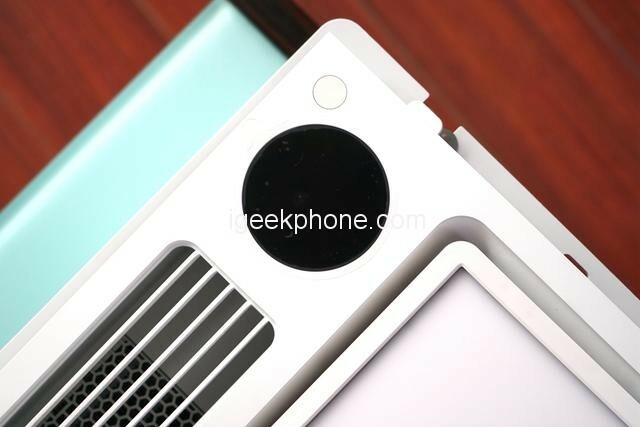 The only connection between the cover of the Yeelight Smart Bath Heater and the heater host is here. There is no complicated connection, only one. Multi-pin plugs for easy installation. Here to add a point, is the Yeelight smart Bath Heater’s power cord connection warehouse, which part needs to be disassembled, inside a zero line and a fire line, because I have an installation service, this piece will not be understood. Yeelight’s smart Bath Heater’s cover is divided into three areas. The first is lighting. The small partners who have a good understanding of Yeeligh’s lighting products know that the brightness is adjustable and it is almost the standard of its products. 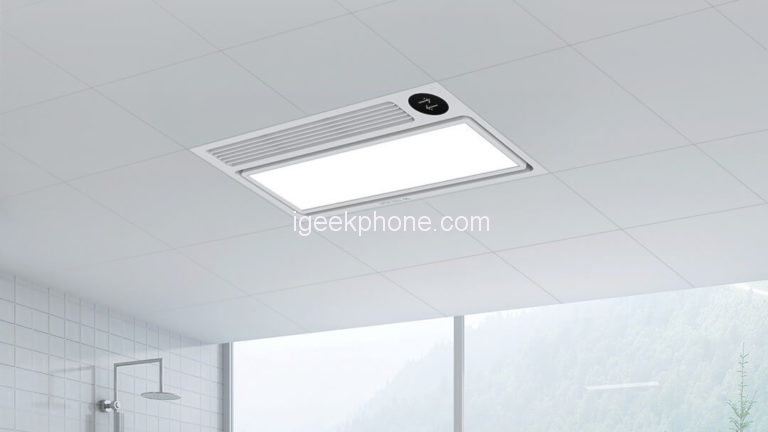 Yeelight Smart Bath Heater can be said to be a luminaire that supports step-less dimming. The initial default is the brightest. We can also turn on its night light mode through the App. Of course, you can also set its brightness according to your preference through the App. Yeelight Smart Bath Heater design concept is that the user can bid farewell to the hot and cold situation. 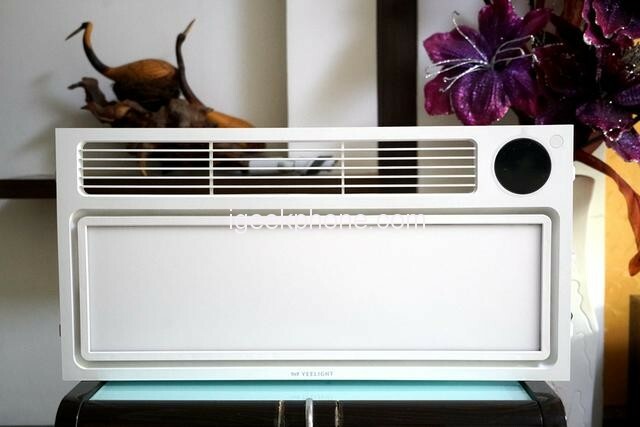 The strong hot air from the straight up and down drives the whole indoor heat cycle. The design is indeed it makes sense! 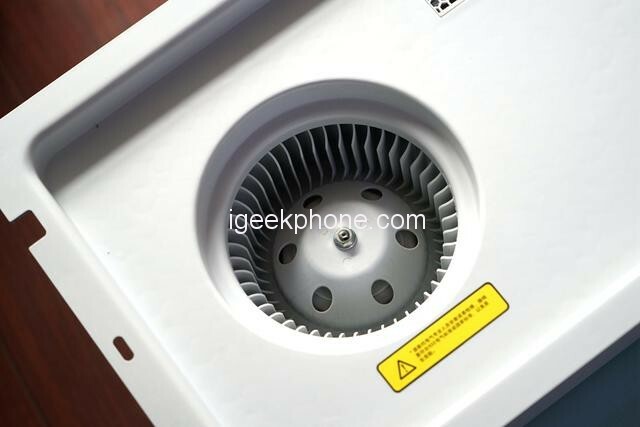 In fact, i still have a worry, if the grille can adjust the angle if it is blown by the hot air for a long time, will it be deformed? The third part of the panel is its control terminal. Figure 1 has a button to quickly adjust the Yeelight smart bath mode. The long press can be bound to the mobile app, and the black part can display the status when it is bound to the remote. 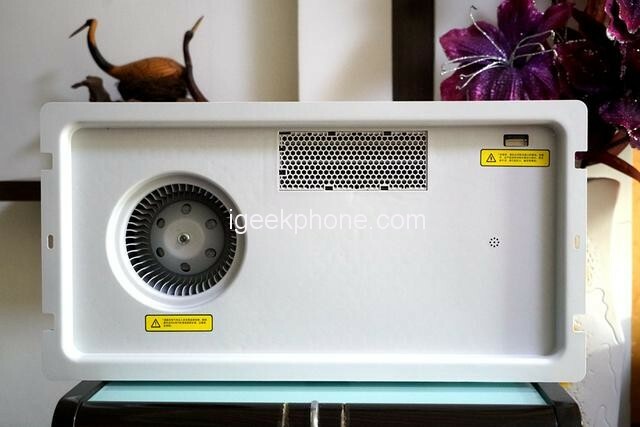 After a certain understanding of the basic configuration of Yeelight Smart Bath Heater, the author will repeat some of its other small details. 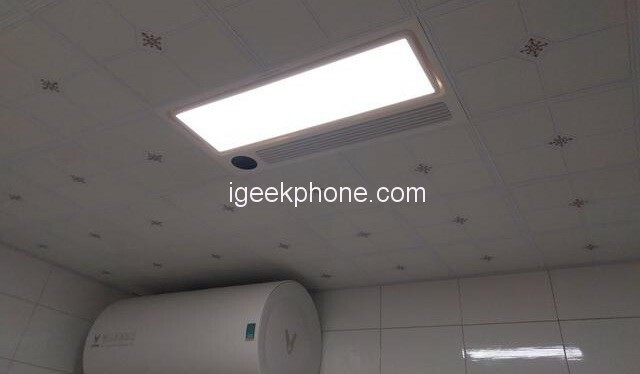 It is reported that the Yeelight smart Bath Heater body is made of high-temperature resistant material, the whole machine has IPX2 waterproof protection, and the key components have fire rating V2. 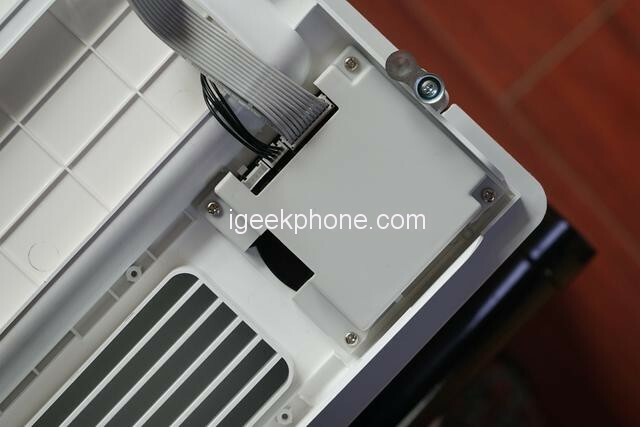 In addition, it also has fuse short circuit protection, motor overcurrent automatic protection, ceramic PTC overheating automatic power off, heating timeout automatic stop and so on. The Yeelight smart whole installation is less than half an hour. 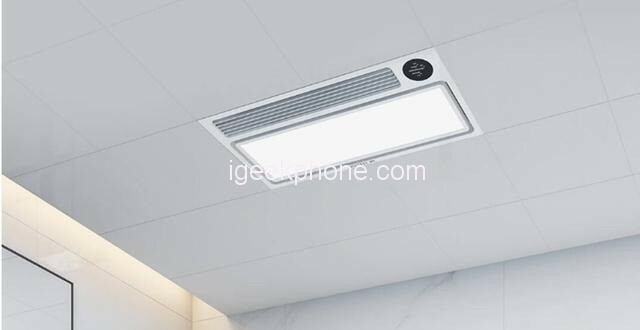 It should be noted that the original equipment may be charged, the problem, because the removal of this thing is really too simple, and the installation of Yeelight smart Bath Heater is also much easier than others, after all, it does not need to connect too many control lines. Wind, noise, heating speed, in which the cold wind and the warm wind are very strong, this is immediate, as for ventilation, this can feel a certain suction, but the effect is not as obvious as the hair; as for the heating temperature to increase this, my bathroom has about 6 square meters, i closed the door to open the warm wind mid-wind speed about 5 minutes, can feel the temperature significantly improved; As for the noise when the equipment works, there is still some wind, but this value is acceptable! The Yeelight Smart Bath Heater is rated at 2250W and has a heating power of 2200W. It is good to convert this power consumption. Yeelight Smart Bath Heater is linked to the Mijia App in terms of app control. We can bind it directly in the Mijia App, as long as it follows the binding process. 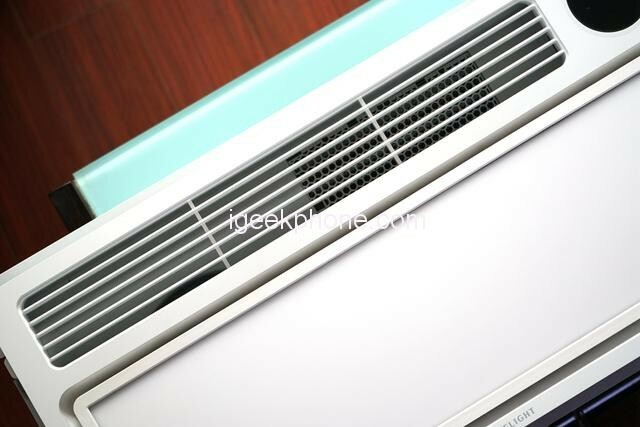 Its control interface is very simple, mainly in the warm air, ventilation, drying, blowing four, in addition to ventilation has four-speed adjustment, the other 3 modes have high, medium and low three adjustments. 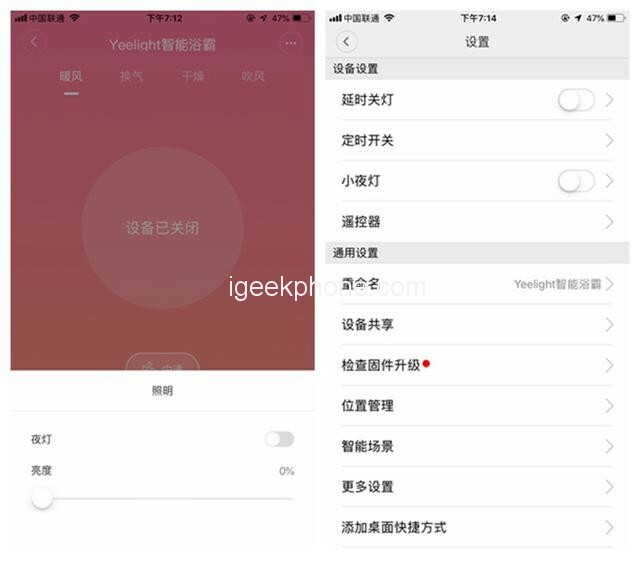 In addition, long press the button to adjust the lighting brightness of Yeelight Smart Bath Heater, quickly turn on the night light mode and so on. 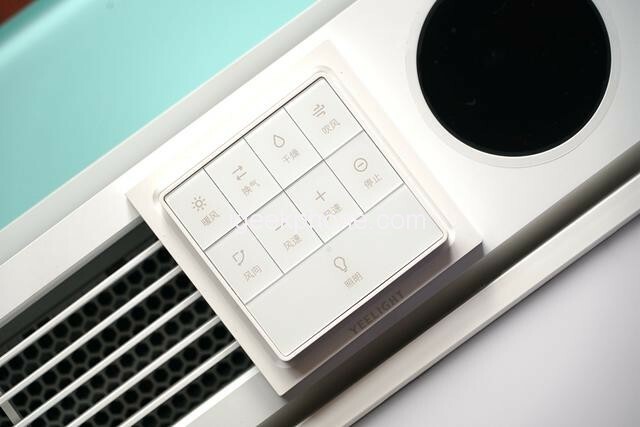 Of course, we can also set a series of smart scenes for Yeelight Smart Bath Heater according to our own needs, such as automatically turning on the dry mode after showering, or setting the ventilation mode and ventilation mode for a certain period of time, or you can do one. Make an appointment and set a warm time for a certain period of time so that we don’t need to wait before taking a bath. Through my own experience, I think the Yeelight smart Bath Heater is very cost-effective, and this must be frank. The appearance of the positive solution, the powerful function, the ultra-low price, i think these are its advantages, what do you think? Next Article Is the Samsung Galaxy Note 9 the Best Choice for Millennials?